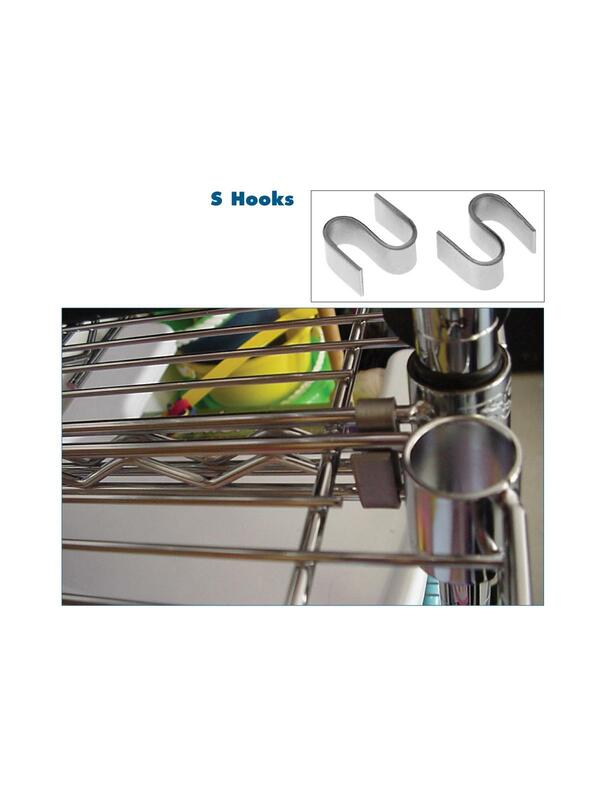 Wire Shelving S-Hooks | Shelving, Inc.
Use S-Hooks in corners or for continuous runs of shelving. 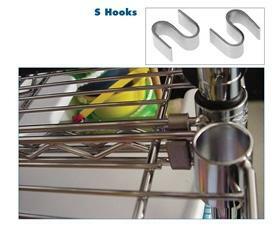 Two hooks should be placed where two posts are not used. Sold in packages of 8 hooks. FOB Shipping Point. See Related Items tab for Quantum Storage Chrome Wire Shelving and Chrome Wire Shelving Unit Accessories.